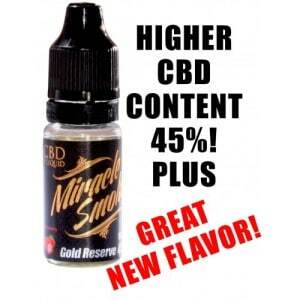 CBD Oil Review rates the Miracle Smoke line with two stars because it qualifies for the Quality & Innovation Badges. Miracle Smoke specializes in creating flavored CBD e-liquid and concentrates containing CBD oil that range in price between $69-$1,008. 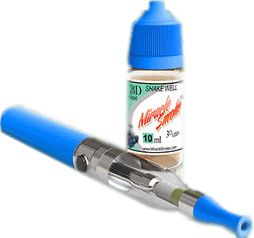 There is not much to say about Miracle Smoke because other than selling products, they say virtually nothing about what they are about. Quite simply they say, “Since CBD is so new in the market many people have a lot of questions and really don't understand CBD so I've tried here to answer a few of the most common ones”. What is clear about Miracle Smoke is that they have a private label service where they put your label on their products. Due to the lack of public information we have ranked this brand quite low. Quality Verified – Miracle Smoke uses Co2 extracted full spectrum CBD oil made from industrial hemp. Innovation Verified – Miracle Smoke has created innovative e-juice flavors to make vaporizing CBD oil more enjoyable. Might Not Be Safe – Miracle Smoke does not even speak to lab testing, nor do they publish any lab results. This makes it impossible to know if their CBD oil is safe for consumption. Information Lacking – Miracle Smoke provides little to no information about who they are, the quality of their products or safety. They seem to be marketing focused rather than information focused. These criminals (yes the owners have criminal records) have changed their company name to Miracle Nutritional Products. Still the same overpriced and underdosed crap. Miracle Smoke does indeed help relieve anxiety. It is very relaxing and effective. There is lots of information available on their website and via telephone. I recommend this product to anyone who is interested in a drug free method of relieving anxiety and relaxing. I have been using MiracleSmoke vape oil and pen for about one month. I have found it to be extremely helpful. It has almost completely relieved my back and joint pain and over time find that it has a curing effect. It began to work immediately upon first use and the effect is getting better and better. I give it a 5 star recommendation. Is there a brand with high % of CBD oil that works for any of you? Thanks so much! 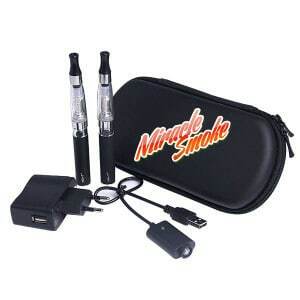 I have purchased every product sold by "Miracle Smoke". Not only have the products changed after time, but I feel certain the only product that may contain ANY CBD is the Eliquid.The creme I bought two years ago and used. I bought it again 3 months ago. Two different items. No CBD at all in the new one.The capsules were powder. No CBD. The company made a change and the capsules were oil. No CBD. Now they appear to just be hemp powder.The tincture appear to be hemp oil with CBD powder mixed, but I feel like there is a lack of quality control. At one time I ordered two 2oz bottles, the CBD was not at the advertised level. The most recent single 2oz bottle had zero CBD.The gummy bears the company sent as a sample appear to be standard gummy bears dipped in hemp oil. SCAMMERS! I have tried using the Miracle Cannabis Oil Superfood tincture and capsules for one week. I am not convinced that there is any CBD content in this oil. I tried small and large amounts and noticed nothing at all. I believe the oil may be vegetable oil. The 'CBD' powder in the capsules appears to be basic hemp powder. I have used CanChew CBD Gum in the past and found that CBD has a noticeable feeling of relaxation. This is either a scam or a VERY small amount of CBD. The sad part of most of the ads for CBD that you see are just that, ads to sell product. Also part of the reason for the low levels, perhaps tooo low for any real effect, is that CBD paste (34% avtive ) is over $13,000/ pound direct from import sources. So to add any real concentration it would cost thousands of dollars not pennies. I saw one ad where one MG was shown to cost just $0.29 ( yes , 29 cents per MG ), but do the math, it takes 1000 mg to equal a gram and 454 grams to equal a pound, so they are selling CBD for $13,166 per pound. So unless this CBD is plutonium, the minusclar amount involved in these products is way too little to be of any benefit. So like it has been said, if it sounds too good to be true !!! Well I purchased Miracle Smoke for back pain & Fibromylisia & got nothing from it. & the the vapor e-cig they sent me was junk, it didnt even work. Thank you for your reviews. 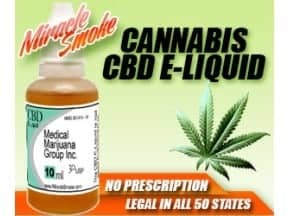 I'm looking for a cbd oil to help me quit smoking and Miracle Smoke is one of the few on Amazon.com listed for vaping. After reading your reviews I guess it will be a long haul to find one worth while that is legal. I can get a mj card here in AZ but, really wanted to go with something that can travel in all 50 states. Thanks again.